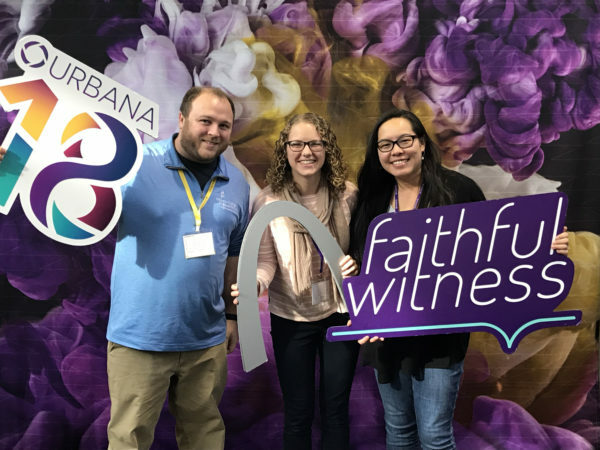 Over our Christmas break, I had the privilege of traveling to St. Louis to attend the triennial Urbana Missions Conference that is organized and hosted by InterVarsity. 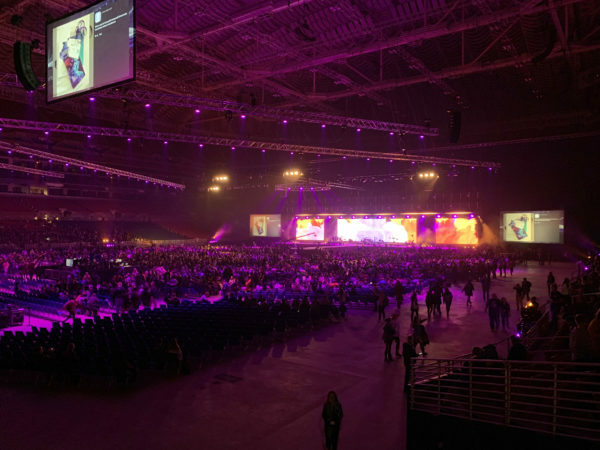 The conference is geared towards undergraduate students and this year had over 12,000 students in attendance. I was asked by the admissions office to help represent the graduate school and help answer questions about the Marriage and Family Therapy program at the Wheaton table in the exhibitor hall. 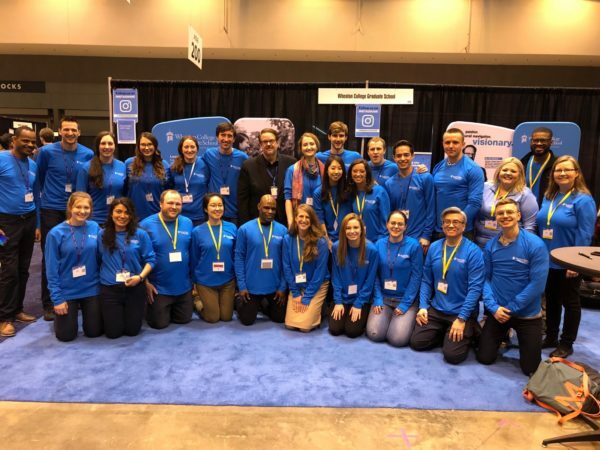 I appreciated the opportunity to represent the college while also talking with numerous undergraduate students from all over the country (and the world) as they were exploring how God might be calling them to participate in missions. 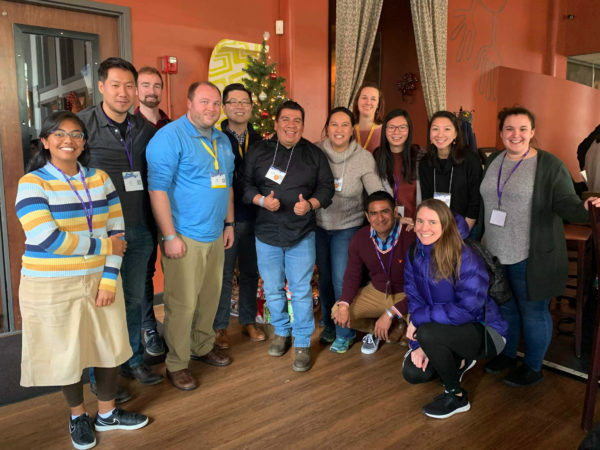 Being a missions conference, I had the opportunity to connect with some of the United World Mission staff from the Charlotte office and a few other UWM missionaries who are serving around the world – ironically over lunch at a Peruvian restaurant in downtown St. Louis! Some of my fellow Wheaton classmates were also in attendance and we attended some of the plenary sessions together. I even ran into an old friend and classmate from Indiana Wesleyan University was able to catch up over breakfast with him. It is hard to believe how fast our time in the United States is going by and that I am starting my final semester this week. More on this in an upcoming post!